Vertical CRM: Because When Did One Size Ever Fit All? Vertical CRM supports the customer relationship management needs of a single industry, vertical, job requirements and more. Our CRM capabilities and features are targeted towards a specific set of users, job requirements, or departments within an organization. How does NexJ do it? For more than 25 years, NexJ’s management team has been delivering customer relationship management software specifically for financial services, allowing us to develop significant domain expertise. 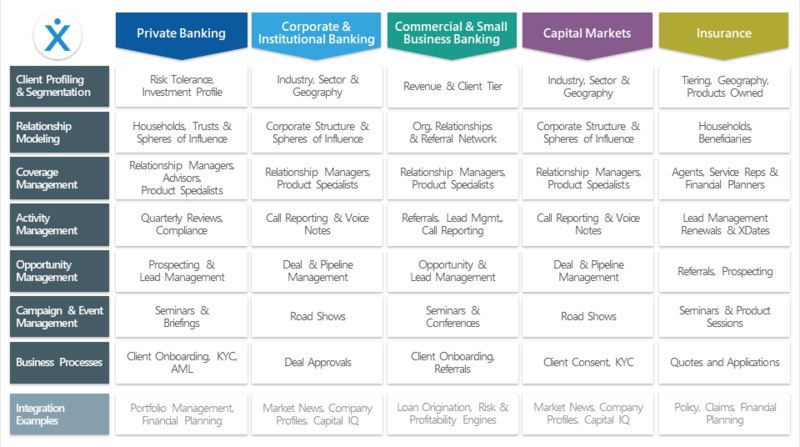 Because the financial services industry has unique and specific requirements, NexJ offers best-of-breed features for the sub-verticals within the financial services industry. Read Previous Post Continuous Integration, Delivery, and Deployment: What’s The Difference? Read Next Post For The Record, Continuous Deployment Can Lead To Continuous Benefits! Home » Blog » Vertical CRM: Because When Did One Size Ever Fit All?